Historically, African American students have had extremely limited access to higher education, and without exception in the field of medicine. Doctors On Board provides students their first step to successfully manage their journey to becoming doctors. 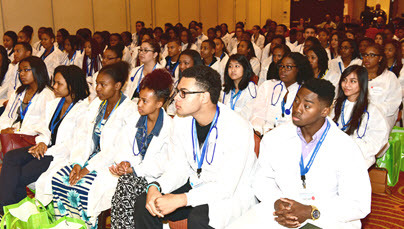 Physicians Medical Forum (PMF) aims to expand the pipeline and the number of African American/Black students who want to become physicians. PMF also provides a network of support that encourages medical students and residents to pursue their careers as physicians in the Oakland/San Francisco Northern California, Bay Area. PMF’s mission is to improve the delivery of culturally competent medical care to better meet the healthcare needs of the community-at-large. To that end, on Saturday, March 19th, the non-profit organization will host its sixth annual "Doctors On Board Pipeline Program” (DOB), a day-long, tuition-free, information-filled series of workshops on admissions, exam prep, financial aid and mentoring sessions with physicians that inspire the growth of Black students to attend medical schools and residency programs. 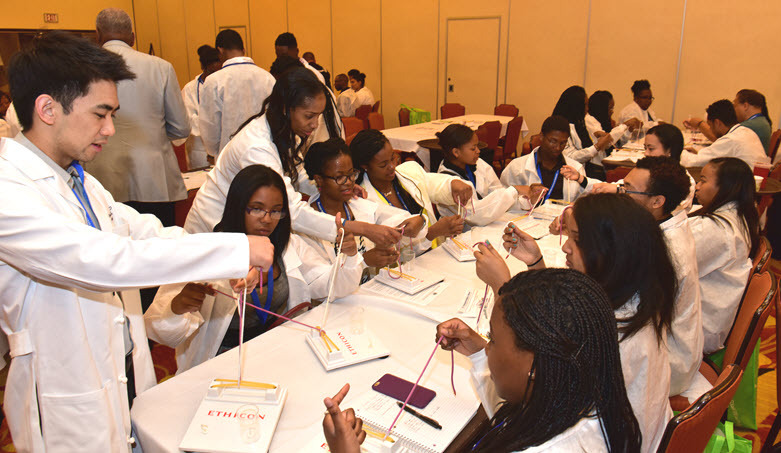 Stalfana Bello, M.P.A., Physicians Medical Forum Executive Director, stated, "The Doctors On Board Pipeline Program is a one of a kind program that pulls together major resources to focus students on becoming physicians. The beauty of DOB is that almost all of the students will be the “First Generation” in their families to become doctors or pharmacists. Many of Northern California's most prominent physicians, including members of the Sinkler Miller Medical Association and representatives from medical schools in Northern California and nationwide, will provide students with an innovative opportunity to explore varied facets of medicine and provide information about medical school preparation, specialties field, and life as a physician. Leading physicians, faculty, residents, medical students and business professionals will instruct, mentor and network with the program's student participants. They will include representatives from the PMF Board of Directors, Kaiser Permanente, Sinkler Miller Medical Association (SMMA), Student National Medical Association (SNMA), UCSF, UC Davis, and Stanford Schools of Medicine, Well Fargo, US Navy Medical Officers Program, Tour for Diversity in Medicine, Highland Hospital and San Francisco General Hospital (partial list).